Are you thinking of starting a WordPress blog? Great – let’s take a look at what we’ve got here: awesome templates for personal portfolios, food and beverages blogs, cooking blogs, fashion blogs, lifestyle blogs, magazines, speakers, book clubs, travel and photography blogs, and so on… there is really a wide choice of topics out there! I had the pleasure to speak at the Dublin City University Business School in April 2018. I was kindly invited by Grace Fox, a lecturer who looks after the Masters in Digital Marketing. 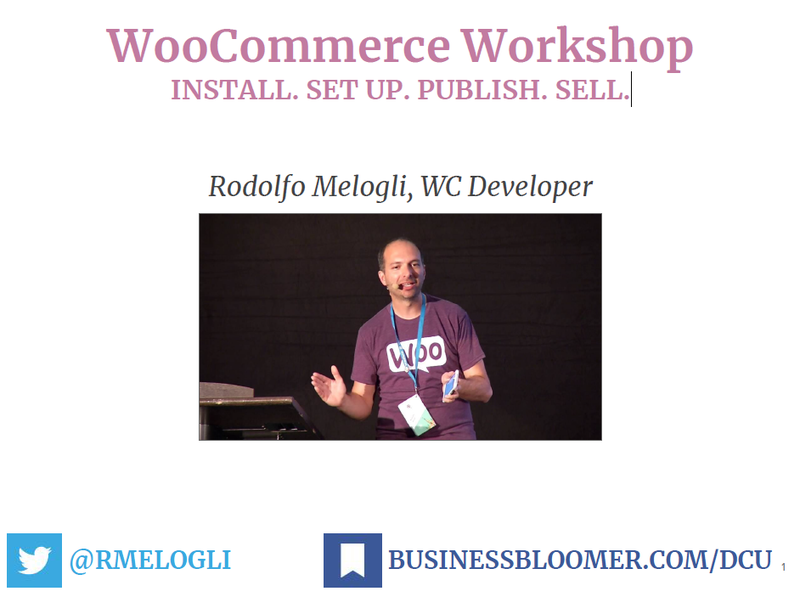 The workshop title was “WooCommerce Workshop. INSTALL. SET UP. PUBLISH. SELL.”, aimed at helping students build an ecommerce enabled website with WordPress and WooCommerce. Here are the slides of the live demonstration I held. I had the pleasure to speak at WordCamp Rome 2017. 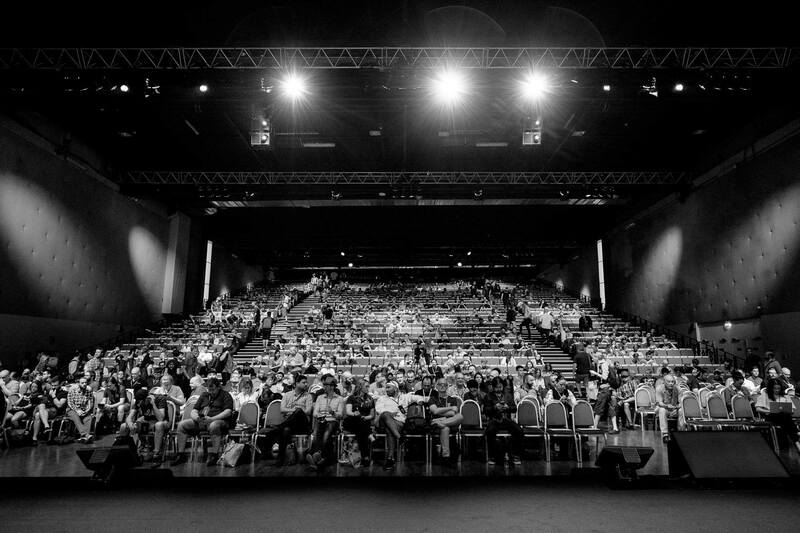 Yes, the very first WordCamp in my hometown (I left Rome in 2007 to move to Ireland)! I was super happy to present a talk called “The 10 Commandments of Content Marketing” (OMG how difficult it was to speak in English in front of my Italian friends…). The talk covered my 5 years of content marketing, and how I’ve seen it all while creating content on my WordPress website: during the first 2 years I wasted time and energy to write blogs no one would read. 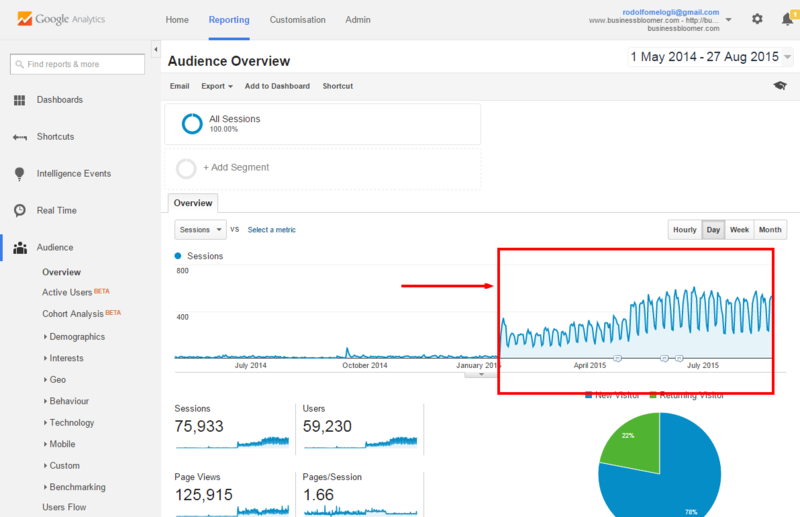 Then I found my inspiration, my path, my content strategy – and in the last 3 years website traffic has risen from 0 to 15,000+ users (and still growing) per week. Now my blog is my only source of sales leads. I first and foremost described what mistakes (sins) I made. What about saving 2 years of your life? 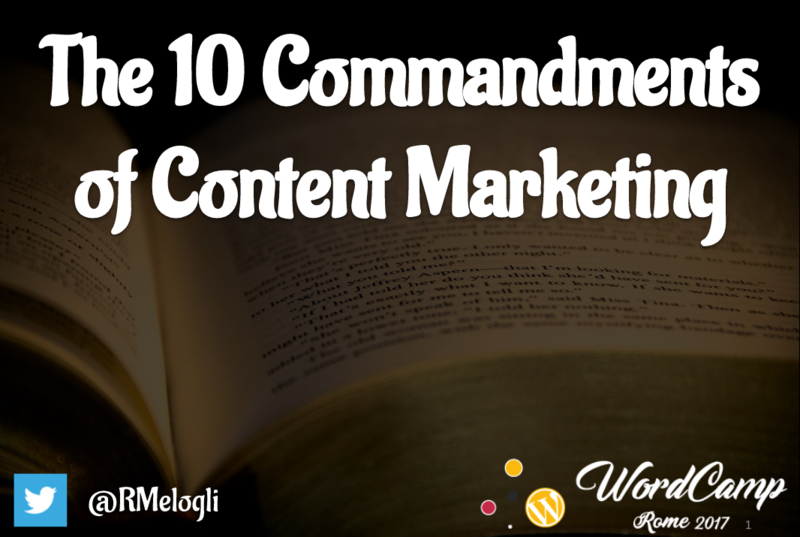 Then I listed the “10 Commandments of Content Marketing” – 10 simple tips you can take away to increase your website traffic and focus on the only purpose of content marketing: teaching. 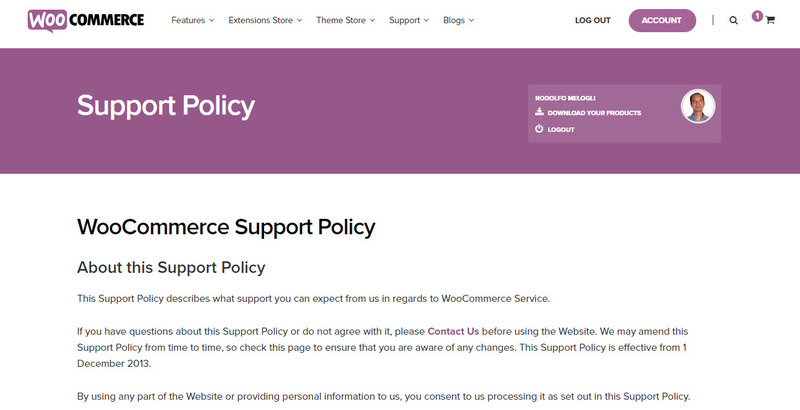 WooCommerce.com is dropping its 50% extension renewals, and moving to a 100% renewal business model. I found this out at WCEU 2017 and then via WP Tavern. 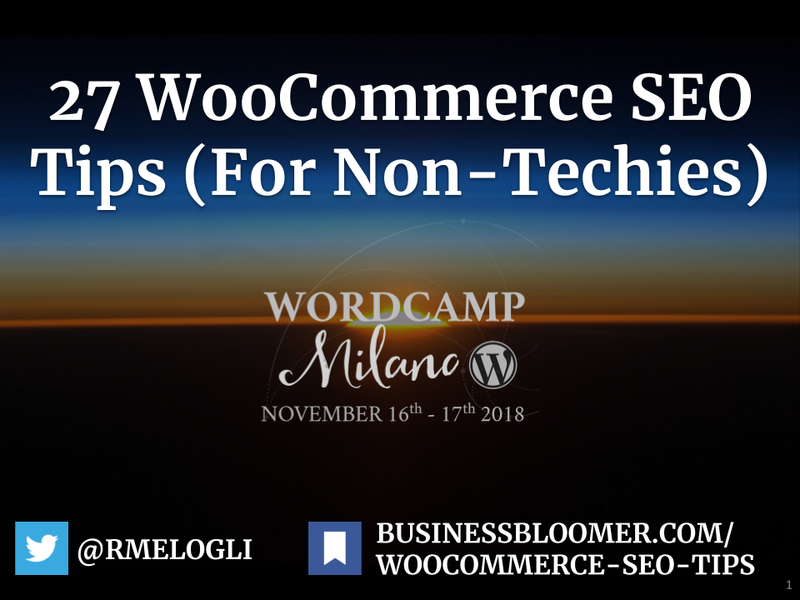 Unfortunately, this announcement is not on WooCommerce blog, on its social media channels or even Automattic. I’m just back at my desk, after 4 amazing days in Paris for WordCamp Europe 2017! To make it easier on you, I’m now going to tell you my opinion without spending too much time. I’ve been working online while travelling throughout South America for almost 3 months so far and I’ve had a lot of time to think about solopreneurship. 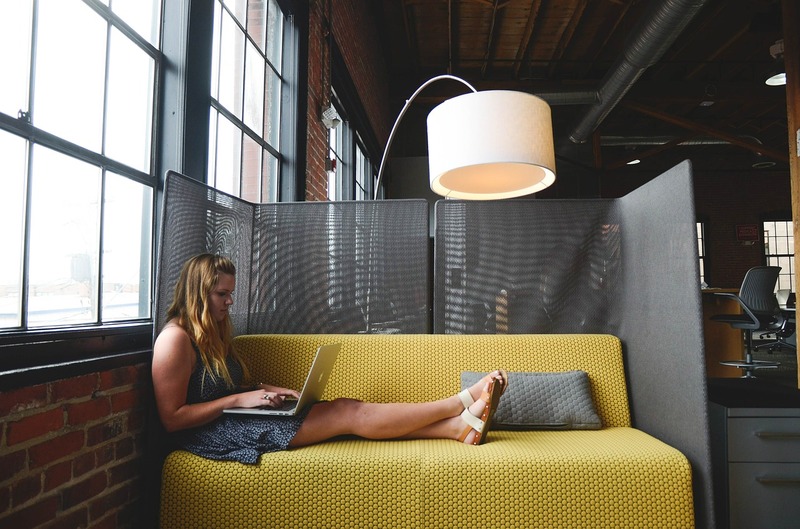 After 5+ years as a sole trader, it’s now the right time to write my thoughts. I really hope to give you at least one idea, one tip you can take away. I had the pleasure to present at #WCBelfast 2016. My 45mins presentation was titled “Content Marketing: How to Turn your WordPress Website into a Traffic Generation Tool” and I have to say I received great feedback (thank you!). It’s live. And it’s alive and kicking. 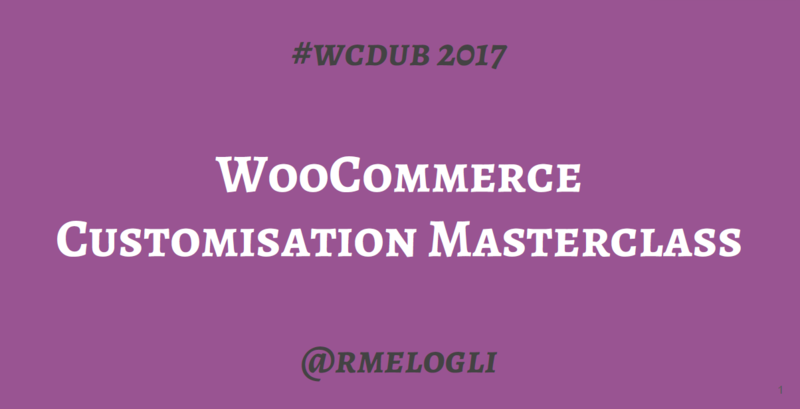 #CustomizeWoo, my flagship Advanced WooCommerce Online Course for designers and DIY store owners, is now live. 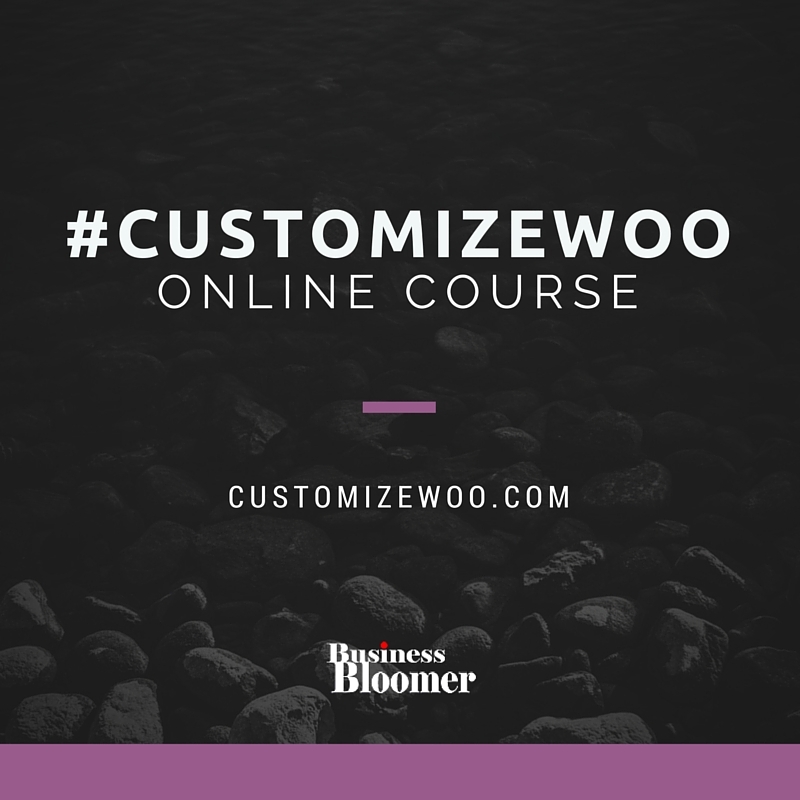 In this post, I’m about to show you why I invested 151hrs 39mins 1secs of my time to build #CustomizeWoo, who I’m willing to help, and what the course looks like from the “inside”. 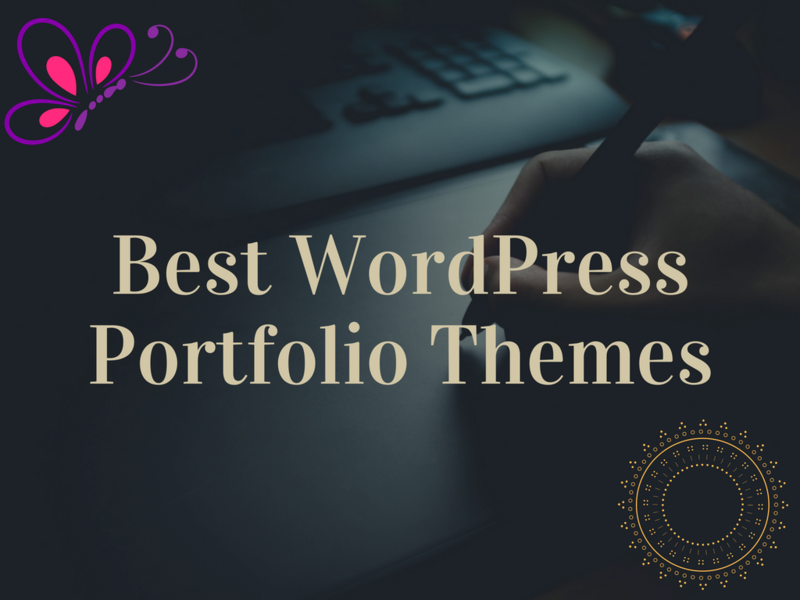 These WordPress Portfolio Themes are recommended for photographers, graphic designers, web designers, artists and whoever has something cool to show on a website! If you didn’t know, a portfolio website is an essential tool that should be able to generate more business and increase your personal brand awareness. There is no doubt that TODAY, a portfolio website is definitely more important than a CV, no matter what creative industry you work in. 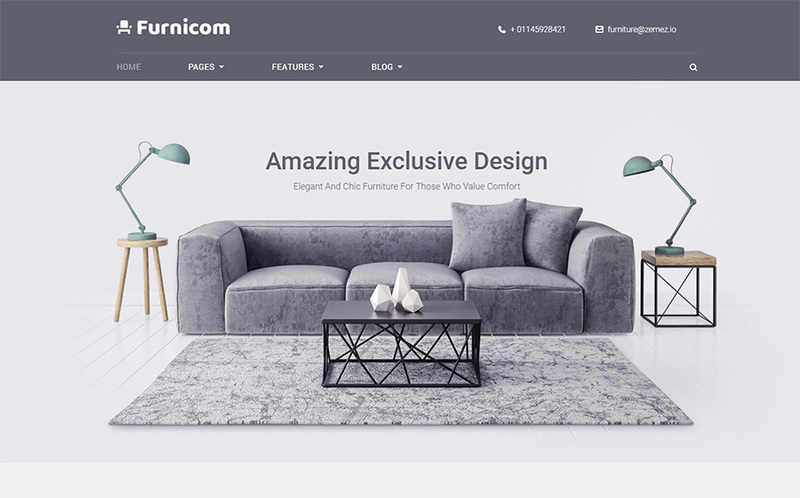 Portfolio websites (and therefore themes) usually have a striking image-based and categorized portfolio section, from where each project can be accessed and studied. Besides, huge importance is given to the “about me” page, where the artist should be able to display her skills, abilities, photo and social media feeds. They should also focus on the most important call to action: “contact us”. 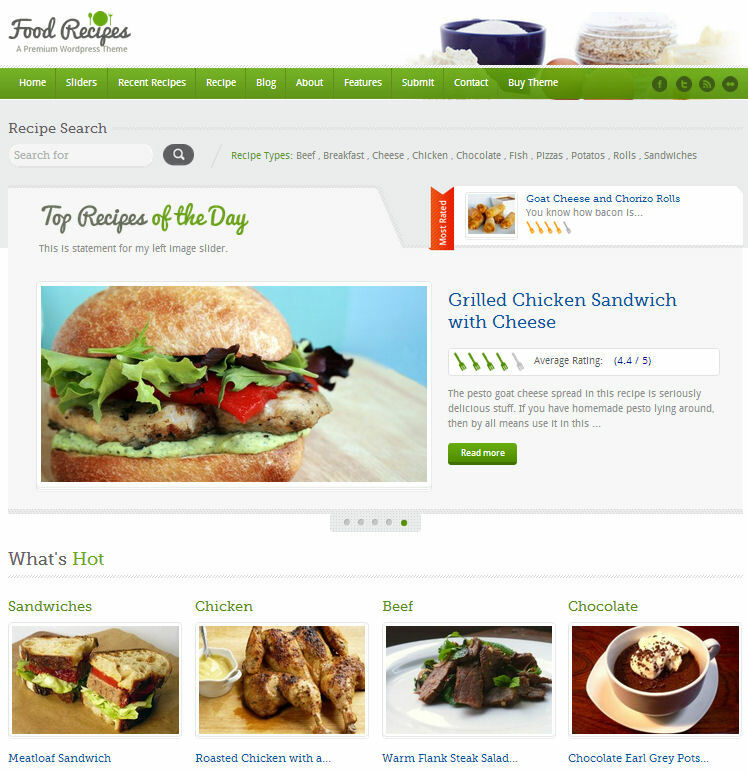 If you have a passion for cooking and want to showcase your recipes (or even turn your hobby into a profitable business! 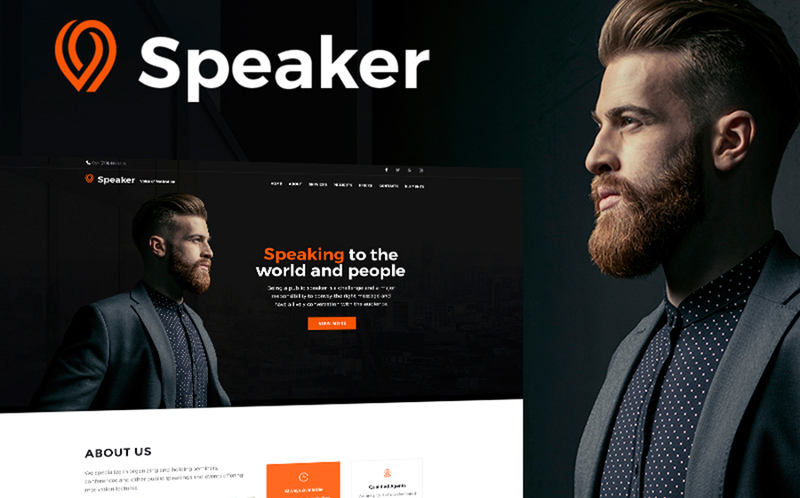 ), here are 15+ WordPress Professional Themes you should take a look at. Whether you plan to build traffic to your recipe blog, set up a membership-only website or even sell your own creations, a ready-made WordPress theme might help you go live fast and concentrate on what you can do best: cooking awesome stuff! 10 Free WordPress Themes you Can Really Use! Sometimes it’s easier (and cheaper) than you think. WordPress Theme Development companies do offer some of their themes for free to build their reputation (and increase their premium sales of course). Following themes are completely free of charge, as well as documentation and support. When you encounter the term “Lite” or “Light”, it might be a freemium model i.e. the theme is free but if you upgrade to premium you can get extra features. Enjoy, and if you can leave a comment below 🙂 Continue reading 10 Free WordPress Themes you Can Really Use!